Last summer, Wool and the Gang reached out to me and asked if I wanted to try their brand new Billie Jean yarn! 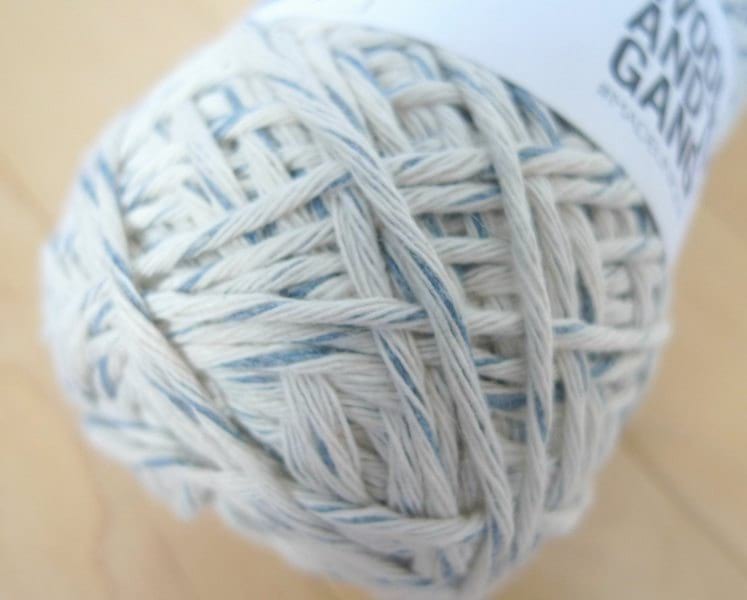 I was intrigued by this yarn as it is made of 20% upcycled denim and 80% raw cotton, and I had never worked with any denim yarn before. 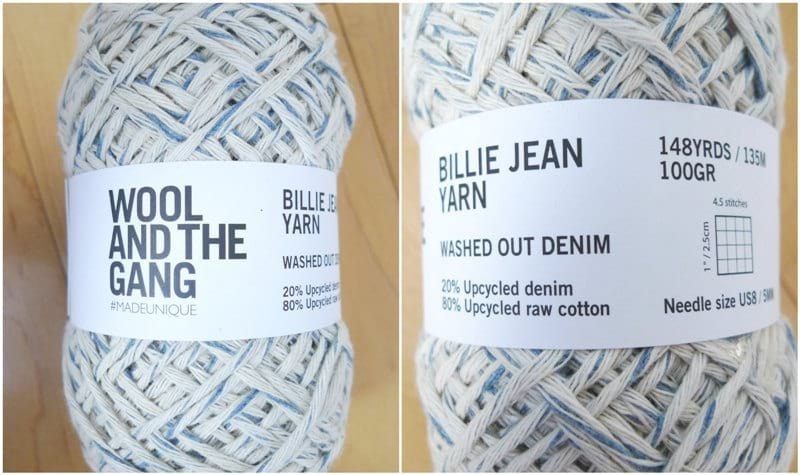 According to their website, “Billie Jean Yarn is made using upcycled pre-consumer denim waste. This waste is ground back into fibre and woven into the Billie Jean Yarn. Using no chemicals and no dyes, [they] manage to save 20,000 litres of water per kilogram of upcycled material.” It is also important to note that this yarn “will perform as most blue jeans, which have the possibility to fade a bit during the first wash, and have a small amount of colour transfer.” Wool and the Gang sent me their “Washed Out Denim” (their lightest colour) and there are two additional colours available: “Dirty Denim” and “Raw Denim”. I did not experience any colour transfer, but some readers informed me that their needles did experience some colour transfer with the darker denims! Billie Jean yarn is soft, and the construction is very neat! You can see the individual strands and how the denim has been woven in. Be sure to work with the recommended hook or needle size as it is easy to split the yarn! 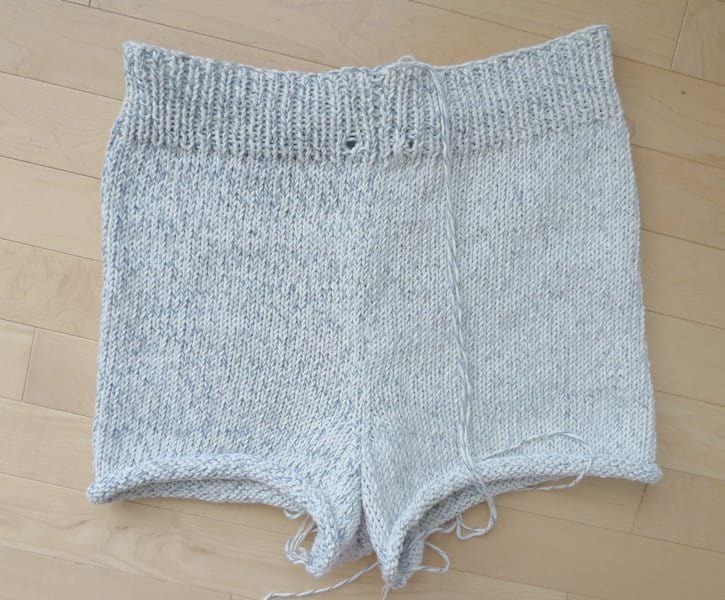 As soon as I glanced through the patterns available for Billie Jean yarn, my eyes gravitated towards the “Heartbreaker Shorts” as I had never seen knitted shorts before, and shorts are an item I never ever thought I would knit or crochet! I thought it was such a neat take on your typical denim shorts! The whole kit is available for purchase on the Wool and the Gang site HERE! It includes three balls of Billie Jean yarn and the required pattern (intermediate level) with an option to add 5 mm (US 8) rosewood knitting needles and a 5 mm rosewood crochet hook. I opted to use my circular Clover Takumi bamboo needles as I love knitting with circular needles! I had so much fun knitting with this Billie Jean yarn and as you can see, it works up beautifully! 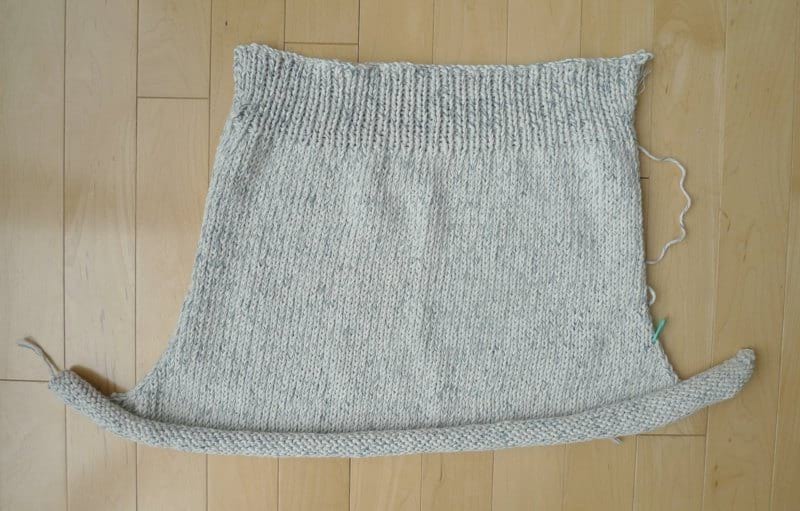 When I posted this sneak peek on social media, no one guessed that I was knitting shorts! I was fascinated by the construction of these shorts! 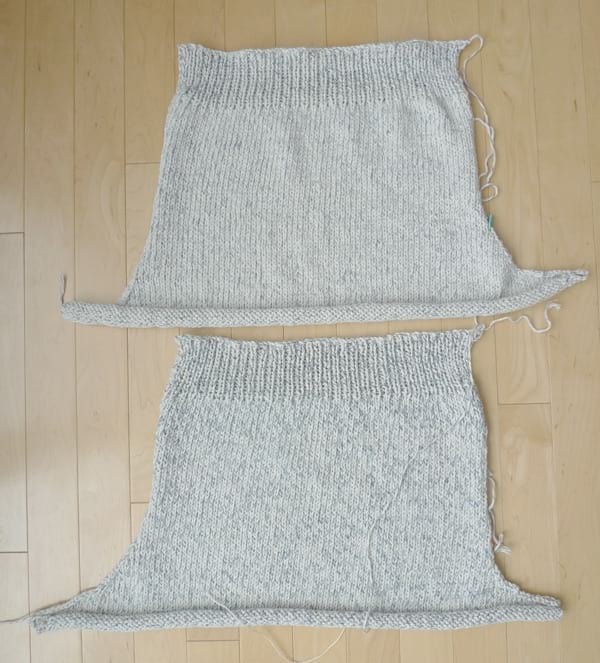 They are knitted in two pieces, and pictured below is the left piece. The pattern is well-written with specific instructions on how to work the increases and decreases. 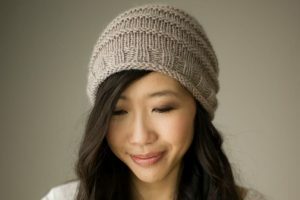 I always like looking up people’s projects on Ravelry to see if they have any tips or recommendations. 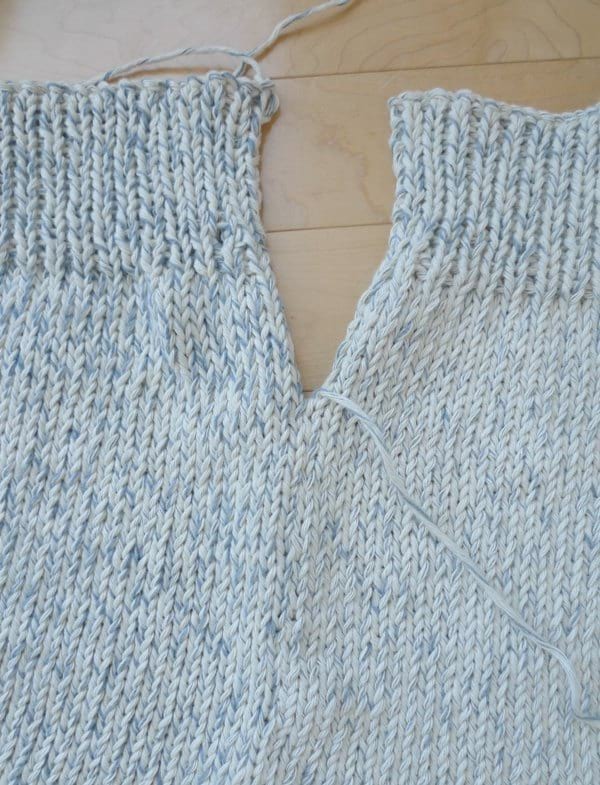 Several people recommended moving down a needle size for the ribbing to get tighter stitches, so this is what I did! I used 4 mm knitting needles for the ribbed portion and am glad that I did. I was so excited when I completed both sides! I placed both sides ontop of one another, and next it was time to seam everything together! I am learning so much about invisible seaming techniques, and Wool and the Gang has some helpful YouTube videos to demonstrate how to do them! I LOVE the mattress stitch (see HERE) as it is such a brilliant way to seam knitted pieces together vertically! I also leaned how to do the horizontal invisible seaming technique as shown HERE. After all the seaming was complete, it was time to crochet the drawstring (you were probably wondering what the crochet hook was needed for!). I then threaded the drawstring through the two holes in the front, folded the ribbed portion down halfway, and seamed it closed! Some people on Ravelry also mentioned that you could add elastic after folding down the ribbed portion to provide more grip. I added some extra thick tassels to the ends of the drawstring and frayed the edges as a chic touch! I was SO EXCITED to try on my knitted shorts as I was dearly hoping that they would fit! They were very comfortable when I slipped them on, and they looked so cute! Thankfully with the drawstring waistband, these shorts can fit a variety of sizes. Note that the pattern in the kit contains only ONE SIZE though. One of my favourite parts about this design is the rolled-up cuffs! 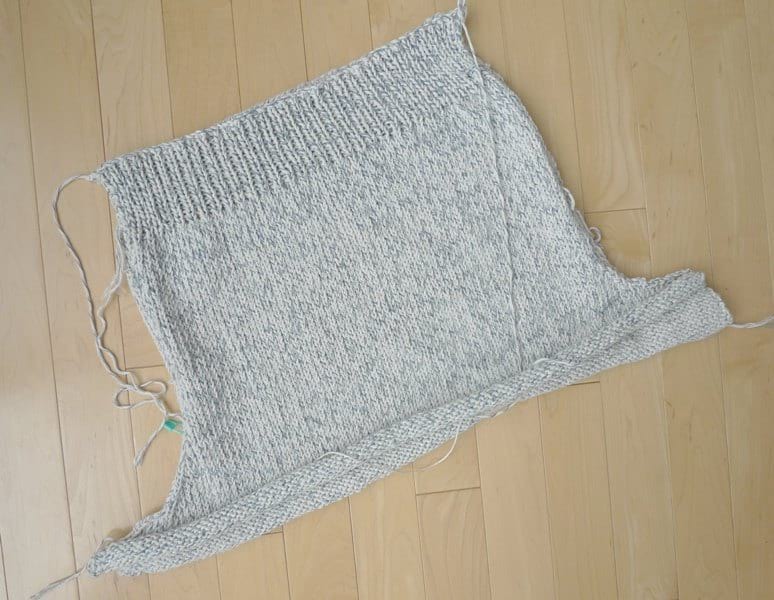 Stockinette has a tendency to naturally curl and roll, and they used this inherent property as a part of the design! I did this too when working up my “Simple Stockinette Hat” by letting the stockinette curl at the bottom to form the rolled brim of the hat! These Heartbreaker Shorts have a very relaxed and slouchy fit, and they feel lightweight and oh so summery! I love how the blue blends with the white and that these shorts are made of upcycled denim! This Billie Jean yarn actually sold out last summer, and by the time I received my yarn, it was early fall and definitely not shorts weather. I quickly whipped these up in time for our California trip and happily packed them in our suitcase! I wore them during our first full day out and about in Legoland and was delighted with how comfortable they are! I was so excited to tell our extended family members that the shorts I was wearing were actually hand knitted by me, and they were so surprised! They did not feel too hot at all since they are made of cotton and recycled denim with no wool component. They are very breathable and durable and the shorts have not fuzzed up or pilled. That first day was so busy, and we didn’t actually end up taking too many photos. I wore the shorts again on the very last day of our trip, just as the super sunny weather was starting to cool down (hence why the girls are wearing their jackets)! I can’t wait to wear these shorts more this coming summer! I have noticed that my shorts have stretched after wearing them compared to when they were fresh off my needles, so do keep that in mind! Wool and the Gang has partnered with me to do a fun GIVEAWAY for my readers! I am delighted that one of YOU will get a chance to work with their Billie Jean Yarn as well! I know the Heartbreaker Shorts are not a project that everyone would like to make, so Wool and the Gang and I are giving away any BILLIE JEAN YARN KIT of YOUR CHOICE! 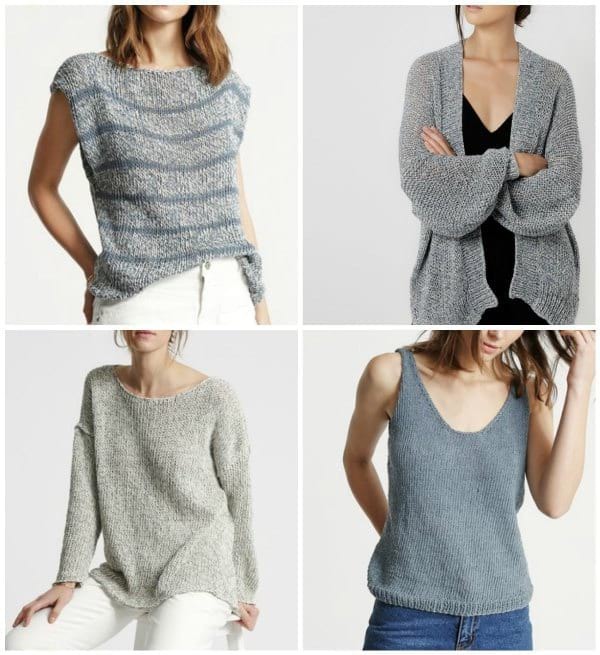 There are both knit and crochet options available! Browse around and see what tickles your fancy HERE! In case you are interested in trying out Billie Jean Yarn right away, they have also provided my readers with a code to get 20% off your purchases: use the code “ALLABOUTAMI20” at check-out (expires May 20)! Note that some other Canadian readers (including myself) were charged customs fees upon delivery, so be prepared for this if you live in Canada According to their website, US customers should not be charged any customs or import duties and fees as they have been pre-paid by Wool and the Gang. Check out some of my other favourite Billie Jean Yarn kits below: Stripy Coco Marinière, Pop Life Cardigan, Fastlove Tunic, and the Farrah Top! 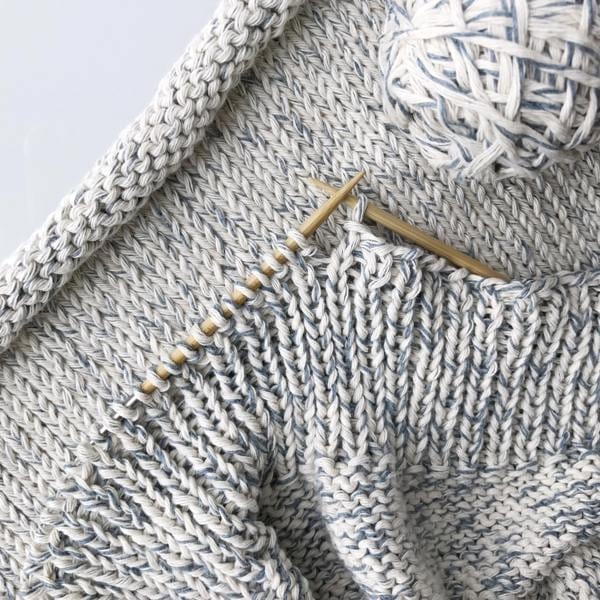 You can see how beautifully their Billie Jeans yarn works up with the three different colourways available! Leave a comment below telling us which Billie Jean Yarn Kit you would love to win (e.g. Heartbreaker Shorts, Poplife Cardigan, etc)! This giveaway is open WORLDWIDE (excluding Russia) and will close on Monday, May 15th at 8 PM MST! You can also enter through Facebook and Instagram to increase your chances! One winner will be chosen at random from all the entries! Note: Thank you to Wool and the Gang for providing me with the Heartbreaker Shorts kit! All opinions and views expressed are 100% my own!